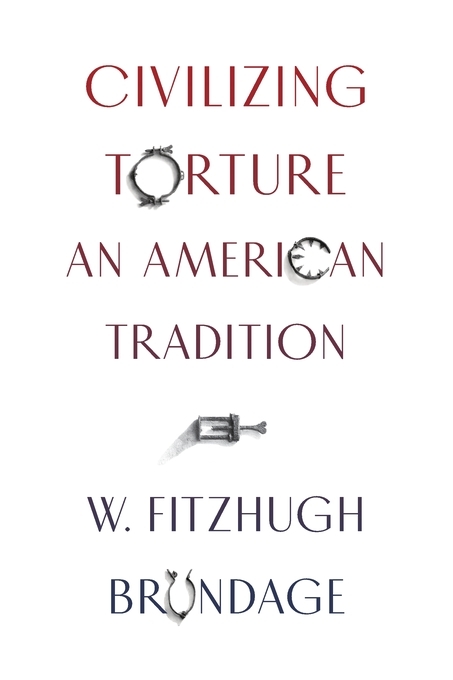 Civilizing Torture places the controversy around “enhanced interrogation tactics” that dominated the national conversation during the War on Terror in a larger context throughout American history. The work underscores that Americans have acquiesced to the use of torture during “emergencies” far more often than the national conscience acknowledges. Reconciling state violence with the aspirations of Americans for social and political justice is an enduring challenge. By tracing the historical debates about the efficacy of torture and the attempt to adapt it to democratic values, Civilizing Torture reveals the recurring struggle to decide what limits Americans are willing to impose on the power of the state. Fitzhugh Brundage received his BA from the University of Chicago and his PhD from Harvard University. Since 2002 he has been the William B. Umstead Professor of History at the University of North Carolina-Chapel Hill. His research interest is American history since the Civil War, with a particular focus on the American South. He has written on lynching, utopian socialism in the New South, and white and black historical memory in the South since the Civil War. His current research project is a book on Civil War Prisoner of War camps and the American embrace of total institutions during the nineteenth century.